GMT94 have announced they will be taking on the FIM Supersport World Championship with an all-French line up of Jules Cluzel and Corentin Perolari. With the combination of both young and experienced riders, it will be a strong team for 2019. 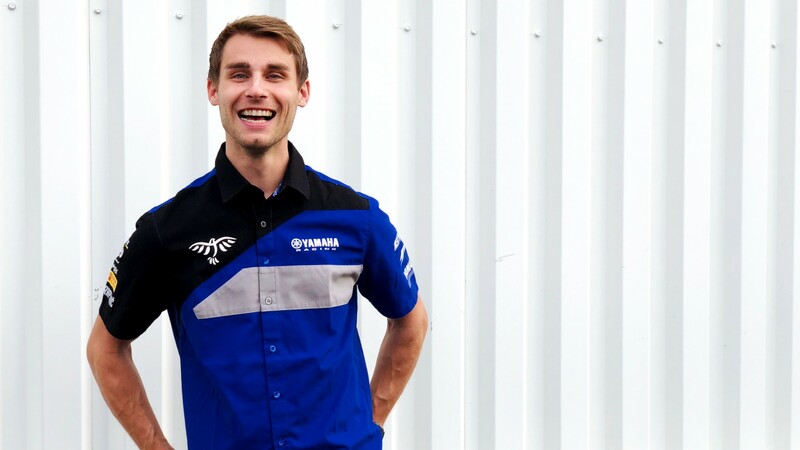 Keeping on with the Yamaha YZR-R6 machines, the French based squad will be sticking with Perolari, who made his series debut for the team at MotorLand Aragon last season, and will welcome WorldSSP 2018 title fighter Cluzel. 20 year old Perolari finished five out of seven rounds in the points last season, including three top six finishes in the last races of the season. Competing in the CEV Moto2 and Red Bull Rookies cup in the past, he has limited experience on the world stage and is continuing to build up his pace. “Thanks to GMT94 and Christophe Guyot for trusting me,” begins Perolari. “The dream continues for me. Here I am now alongside Jules Cluzel who is one of the best in the world championship. I get along great with him and he already helped me last year in my progress. It's a great opportunity for me. I will do everything to draw from his experience and now aim for the podium." Whilst Cluzel will be heading into his eighth season in the WorldSBK paddock, and seventh in the WorldSSP class. Suffering heartbreak in 2018 as he missed out on the title by 25 points after crashing out in the final race of the season, 30 year old Cluzel has been runner-up three times in the class and will be out to take the crown in 2019. Cluzel is keen to get started on his new project: "By winning 5 races, I have achieved nice things this year. But a chaotic season, and a clash in Portugal pushed me out of the title fight. Joining GMT94 is my best opportunity. They helped me in 2018, I know that I can count on them to take me to the world title. I could see their progress this year and I understand why they have been three times Endurance world champion. These guys do not give up and will give everything to succeed. I realize what an opportunity this is and will know how to seize it. I am also delighted to bring my experience to young Corentin Perolari, who deserves the confidence that Christophe has in him. I can’t wait for 2019." Find out how the team progress into the 2019 season, all with the WorldSBK VideoPass.